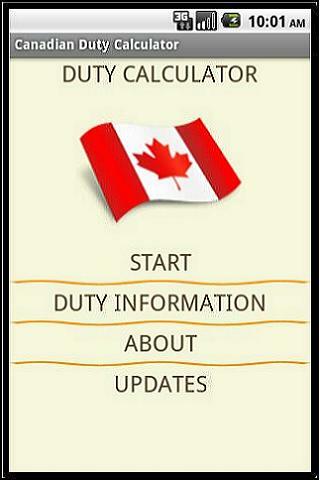 Canadian Duty Calculator Know What You Owe, Before You Go! Note: All Fields Are Required. 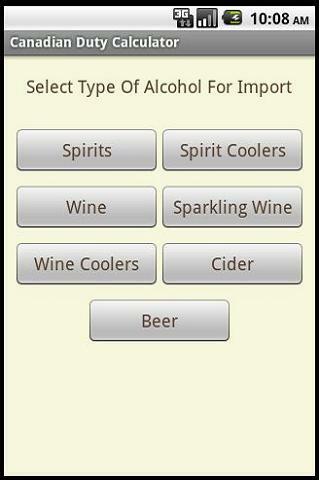 The CBSA requires all information below to accurately calculate alcohol duties. The Canadian Duty Calculator application helps returning Canadian residents calculate total taxes payable for alcohol/tobacco purchases made outside the country. Trying to calculate these taxes can seem like a daunting task. From sales taxes, excise duties, tariffs, and provincial mark-ups, calculating what you need to pay is extremely complex. Due to these complexities, the Canadian Duty Calculator cannot guarantee 100% accuracy. Use this calculator as a guide to paying taxes and duties when returning to Canada. 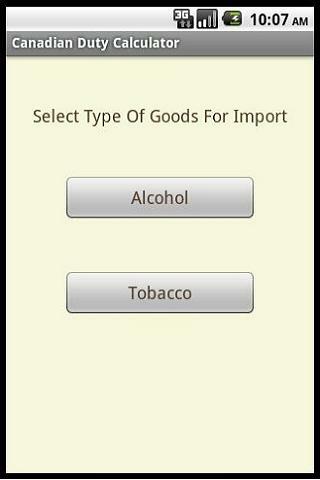 The Canadian Duty Calculator application can be used to calculate duties on alcohol and tobacco products purchased outside Canada. Calculations are available for all 10 provinces and 3 territories. If you exceed your personal exemption, you may be asked to pay taxes at the border. Use the online duty calculator to help you determine how much you might owe.